Hi Everyone! I am the current president of the Dade County Library Association. 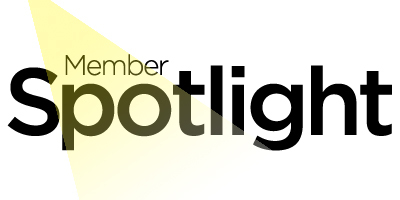 As such, I wanted to break the ice and get the new DCLA Member Access feature "Membership Spotlight" up and running. My library career began in the Miami Dade Public Library System where I started my first part-time job at 16 years of age. I remained in this job throughout high school and until I graduated from Florida International University with a Bachelor's degree in Psychology. I was very excited to be accepted into the MDPLS Librarian Intern program and began working full-time for public libraries as a Librarian I in 2001. This was a wonderful opportunity that allowed me to complete my Masters degree in Library Science in 2004 while I was gaining valuable on-the-job experience. At MDPLS, I served in various roles including reference librarian, children’s librarian, young adult librarian, assistant branch manager, and branch manager. During my last role in MDPLS, I was the first Library Services Specialist for the Outreach and Programming Department leading the adult literacy program (Project L.E.A.D.) and early literacy initiative (JumpStart). In 2014, I switched gears in my career to work for academic libraries. I currently work as the Associate Director for Learning Resources at Miami Dade College, Kendall Campus. When I'm not working, I am very lucky to come home to a wonderful husband and two amazing small children that I adore. Together we enjoy spending time with friends and family and camping. Now it's your turn! Please share some information about yourself. We'd love to feature all the great work our members are doing. What do you most like about working in libraries? Simple- I love helping people. Libraries are the perfect place to serve the public whether it's adults, children, or in my current organization- college students. How long have you been a member of DCLA? 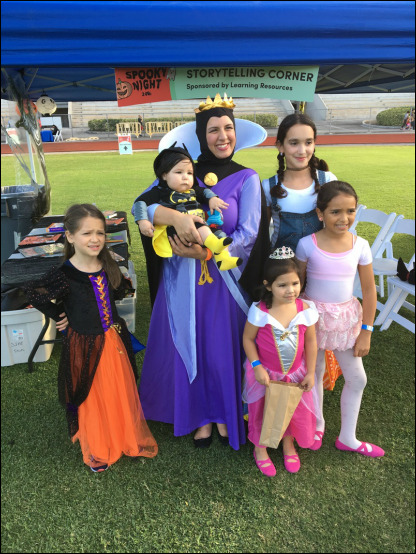 The Kendall Campus of Miami Dade College recently hosted an event "Spooky Night" on October 31st that was open to the community. I love outreach and special events programming so volunteered to be on the planning committee for this event. At Spooky Night, I was able to do something else I love, children's storytelling, and represented the Learning Resources department at the Storytelling Corner. Over 300 community members participated and all proceeds for the event went to Haiti Relief. I was so excited and proud to be able to put smiles on children's faces and help in raising funds to help families in Haiti, all while promoting the department I work for in the process. One thing I love about librarianship is that you can be as creative as you want to be!